If you are one of the customers who experiencing a session time out error, usually at check out with the error message: "Whoops! 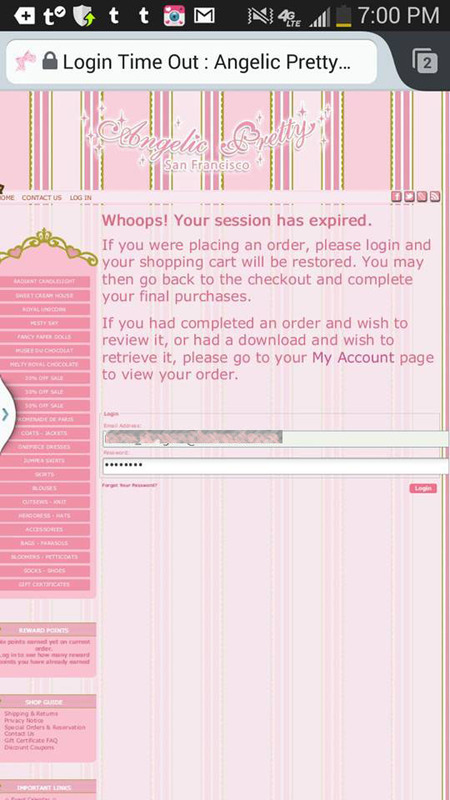 Your session has expired". This might be an issue with your browser carrying over an obsolete or corrupted cookie. This is not a site technical issue but a localized browser problem. To resolve this problem, you will need to clear the cache, and cookies from your browser in order to be able to complete your check out again. After this is performed, it is not likely that you will need to repeat this process again in the future. 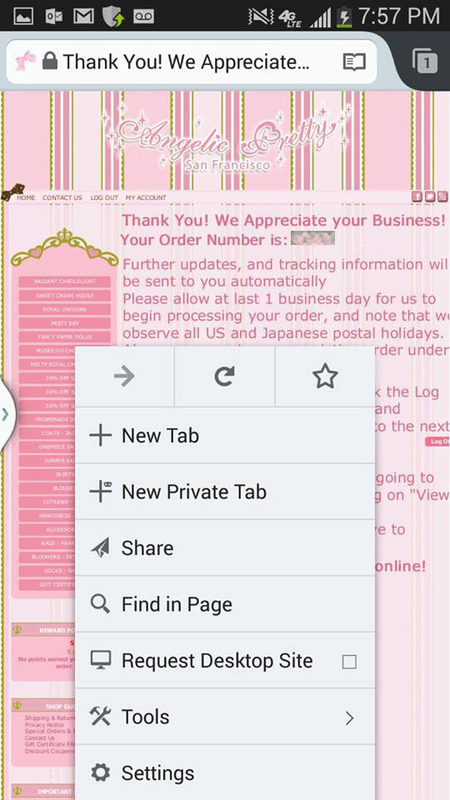 Below is example on reset clear your cache, and cookies on a mobile device running Firefox Browser. These images were supplied by one of our customers in which we've resolved this issue with, and she was very gracious in sharing these screen shots to aid others experiencing the same issue. Please note, that FireFox, and Safari are supported on our site. We do NOT recommend using Chrome or Internet Explorer, use at your own risk. This is the error displayed upon entering your credit card info, and clicking confirm. 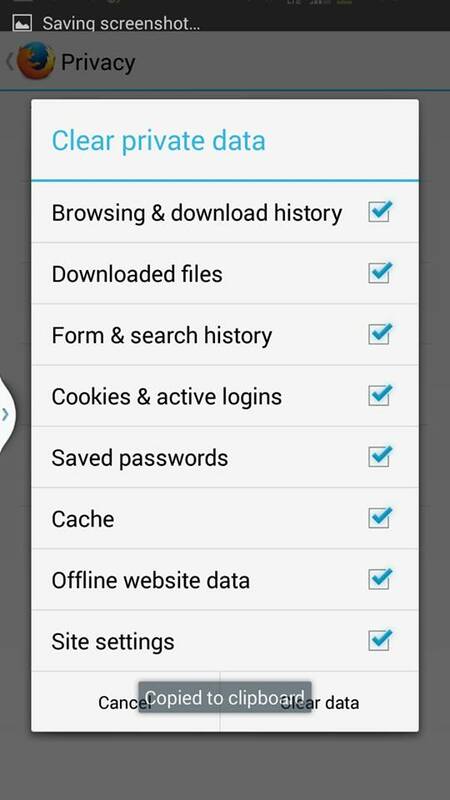 Cache, and cookies are typically located in the privacy setting of your browser. The location theses maybe different depends your version of your browser.